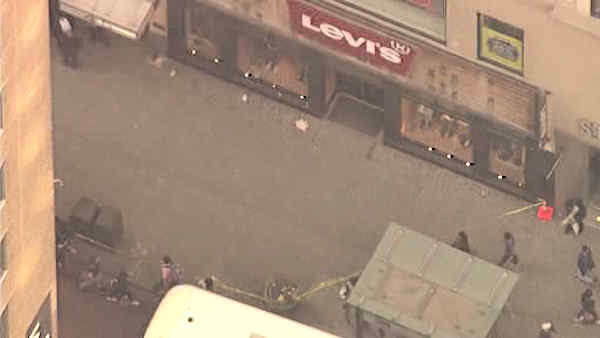 MIDTOWN, Manhattan (WABC) -- A woman was hit in the head with falling construction debris in Midtown Monday afternoon. It happened on 34th Street at 5th Avenue just before 4 p.m.
EMS and the FDNY responded to the scene to treat the victim. The woman was taken to Bellevue Hospital with a non-life threatening head injury. The City Buildings Department is investigating at the scene.